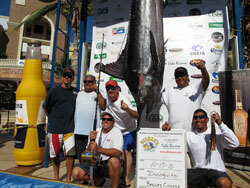 The 12th annual Bisbee Los Cabos Off Shore Fishing Tournament was held this weekend. 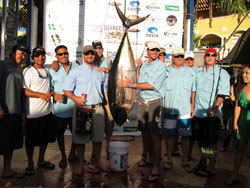 59 boats competed in the competition for $248,120 in cash awards. Barnes Cooper from the Incognito topped the scales with his 540 pound blue marlin. Anthony Hsieh from Bad Company and Rich Hamilton from Bandit followed up with 490 pound and 470 pound black marlins respectively. Aaron Riggins from the Missing Lenk pulled in the top Yellowfish Tuna weighing in at 161.8 pounds. 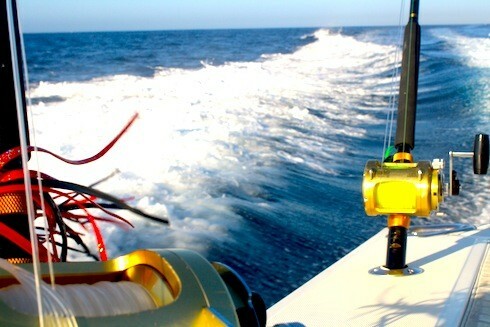 During the competition 50 billfish were released; 14 blue marlin, 28 striped marlin and 8 sailfish. This was the second part of the Bisbee off shore fishing competitions. The first was held in August and the third and final -The Bisbee Black and Blue Tournament – will begin October 20th.